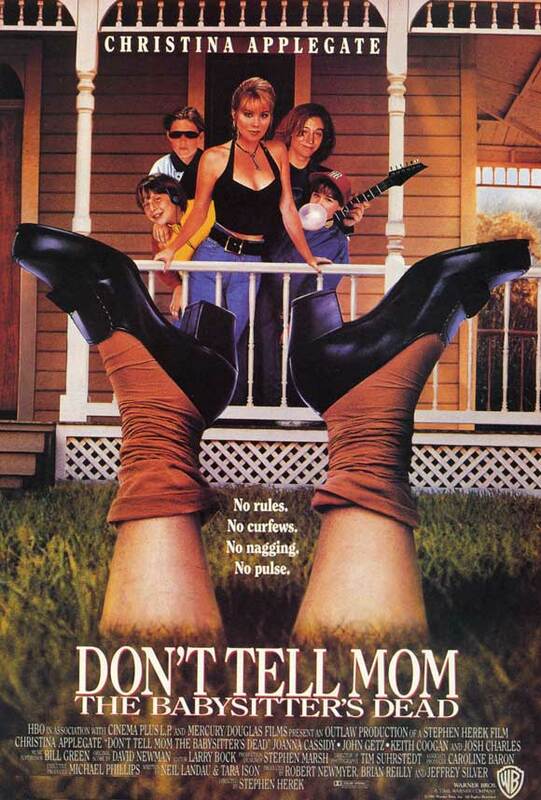 I have a hard time saying that Don’t Tell Mom the Babysitter’s Dead is a very good movie. Yet, at the same time, it’s enjoyable enough, and since I believe calling a film a “guilty pleasure” is a complete cop-out term, I’m forced to figure out what clicks and what works here, because I do like this one. So while the movie is inconsistent – and at times feels like two ideas stitched together at the hips – it still manages to be a surprising depiction of how families grow and evolve and adapt to circumstances and their surroundings. That the film gets its mixed message across through so many tonal shifts and genre changes is actually rather impressive. Mom’s (Concetta Tomei) off to Australia for two months with her new boyfriend and her kids might as well say good riddance. Don’t Tell Mom has an extremely poor opening act, but what the film absolutely nails is its quick definitions of each family member. Walter (Robert Hy Gorman) prefers to sit in front of the TV answering quiz shows. Melissa (Danielle Harris) is a boyish girl who wants to join Little League. Zach (Christopher Pettiet) worries about girls and little else. 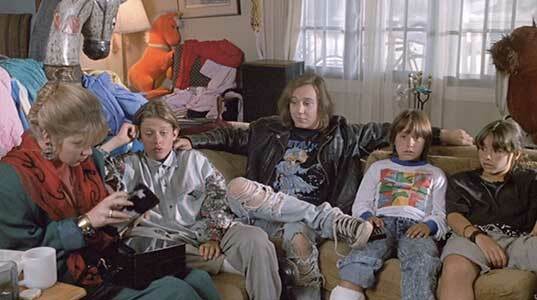 Kenny (Keith Coogan) is a burn-out metal head, refusing to do his part or contribute for the family. Sue Ellen (Christina Applegate) plays the eldest of the bunch, only 17 and stuck at home over the Summer while friends travel abroad throughout Europe. These siblings expect a carefree couple of months, but without their knowledge, Mom hired a grumpy, regimented babysitter to come fill her role. Their opportunity for an idyllic heaven turns into a living hell. As per the title, the kids’ sitter croaks and they react in the dumbest of ways, as is par the course for children and teens when there’s no parent looking. They can’t find the money their Mom left for them, the pantry and the fridge are running on empty and so the two eldest must decide who goes to work, appropriately making the decision through a game of heads or tails with a frozen pizza. Sue Ellen loses, she forges a resume, applies for a receptionist position and is brought on as the newly hired executive administrative assistant to Rose (Joanna Cassidy) because her fake references are so impressive. Sue Ellen has a buffet of issues to deal with. Can she lie long enough to get a few paychecks? Can she rally the troupes at home to help her handle the chores? Can she entertain a budding relationship with Bryan (Josh Charles), a delivery guy from the coney restaurant Clown Dog? And can she outwit the suspicious folks who seek to expose her out of jealousy? As you can probably tell, Don’t Tell Mom tries to straighten up and reorganize an entire marketplace instead of focusing on cleaning up a single aisle. The story begins quite poorly, becomes dumb fun for a half hour or so, and then evolves into a picture that’s worth paying attention to. It dares to reverse gender roles; in the movie’s best scene, Kenny bickers with Sue Ellen, complaining that he’s had to cook and clean and hasn’t been told he’s done a good job, all while his sister says that someone in the family has to be a financial provider. In a movie that’s full of stereotypes and one that feeds on typical 90’s era tropes, Don’t Tell Mom boldly exists in reality. I’m not sure this movie would’ve been made without the heavy influence of Home Alone or Adventures in Babysitting, but the story owes its greatest thanks to the inspired wish-fulfillment of Big. These characters are broad and different and aren’t forced to change by a carnival attraction called Zoltar. In this extreme circumstance, what matters most is showing up and playing whatever role is needed from those closest to you, and Don’t Tell Mom the Babysitter’s Dead allows its characters to organically change and grow.